Come to a rustic and cozy place in an atmosphere of total tranquility. 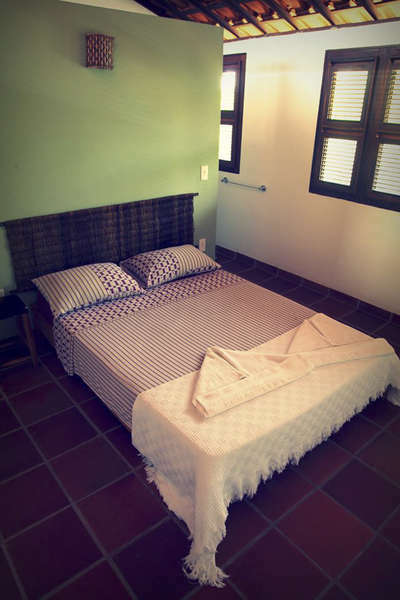 The hostel is located at the Northeast of Brazil, at the most popular beach at São Miguel do Gostoso - 120km of Natal, the main city in the state of Rio Grande do Norte. A paradise in earth and one of the best spots os Kite and Windsurf in the world. - Car: BR 101 until São Miguel do Gostoso you should enter on km 3 and drive other 16 km, after the entrance of the village it´s the second right and straight to the beach. - Plane: Directly to Natal you should look for TAP and Lufthansa flights. - Transfer: Please contact us to arrange and airport pick up.